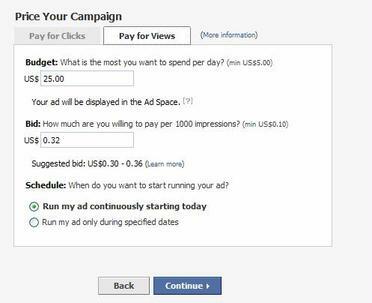 "Facebook ads can sell for as little as 15 cents per 1,000 impressions (CPM) - compared with the estimated $13 on Yahoo properties. And even at those bargain prices, marketers are reluctant to spend money on a venue where users aren't paying attention." I'm hard pressed to buy any ads on Facebook for exactly this reason. I believe that social networking ads are online wallpaper especially for acquisition and even branding tactics. And even at 15 cent CPMs it would be a stretch to recommend them. Sure going after the youth market they are still the best place to find concentrated web surfers, but how good are those ads even at such a low rate. 15 cent CPMS with low click rates or acquisition is just what it is - cheap eyeballs and the vast majority of marketers have moved passed this. I don't know why Facebook doesn't want to embrace what they are to a lot of marketers. A great place to engage customers, evangelize supporters, push information, and have users show their love by posting badges and widgets. It is a great, effective, and efficient tool for communicating with customers especially with the younger generation who increasingly uses email less and communicates via message boards. The pressure started coming down when they wanted to monetize that traffic. Sure partnering with Google to place paid clicks ads is an awesome tool and that model works because Google serves the ads based on relevancy. Plus a lot of Google users don't realize that if you don't want your ads served on partner search sites you have to opt out of it. It is a great monetization model, but then extrapolating that for display ads is another thing where CPMS are believed to be higher. While they got the targeting correct for most of the ads, this isn't hard to do based on the profiles. The ads themselves are shall we say on the cheesy side of ads and would be hard pressed to be considered branding ad units. I built a few ads, didn't turn them on, and you know what CPM rate I was told to bid? 32 cents!! That's right 32 cent CPMs and if I wanted CPCs around 69 cents. The CPM IS DIRT FRIGGIN CHEAP, especially when you take into consideration their advanced targeting that seems to actually work. It would be hard for any major marketers to justify spending marketing dollars for something like this. I don't want you to think Facebook has zero value, just when it comes to branding and acquisition. For customer relationship management and evangelizing your base it is great, for advertising I'd recommend passing unless you are on the very low budget scale. I think Facebook's new COO and former Googler Sheryl Sandberg has much longer to go to develop a new ad scheme aimed at the billions that marketers spend on branding ads every year. "I'm hopeful that we play a significant role in pushing the envelope [with] awareness building," she says. "How we get there, I don't think we know yet." What would be the best *change* to take place to make opportunity better on Socnets such as Facebook? You see any value going about it in another manner? Think it is something someone could find a way 'individually' so to speak to work around and create something that works even if the socnet itself isn't on board? Personally I think a large part of it is not only what you mentioned but also the 'style' of ads etc. I think for display ads it is a dead area. Response rates are abysmal and their CPMs are dropping to rock bottom rates due to the law of supply and demand. However, it is great for communicating with your base of customers and getting customers to wear your badge. Use the tools that are there, but the same old display ads are a waste of your marketing dollars.